Mehran Mesbah. Mythos Ad Infinitum, Art Street Sacramento 2017. Utilizing one of humanity’s oldest recordable forms of communication, Mesbah draws, photographs, and subsequently erases this work only to repeat the process again. These actions allude to the indefinite reinterpretation of phenomena every generation passes to the next. 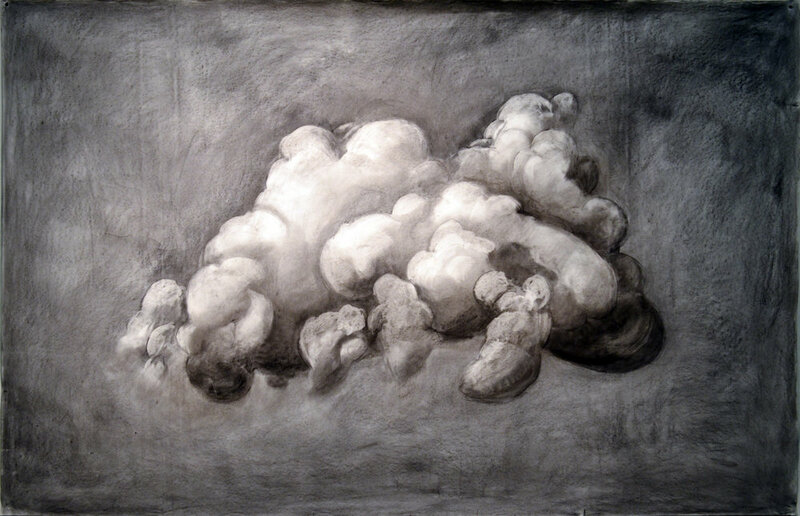 The subject poised at the center of the composition shifts from a representational depiction of a forming cumulus to a more stylistic, symbolic one. 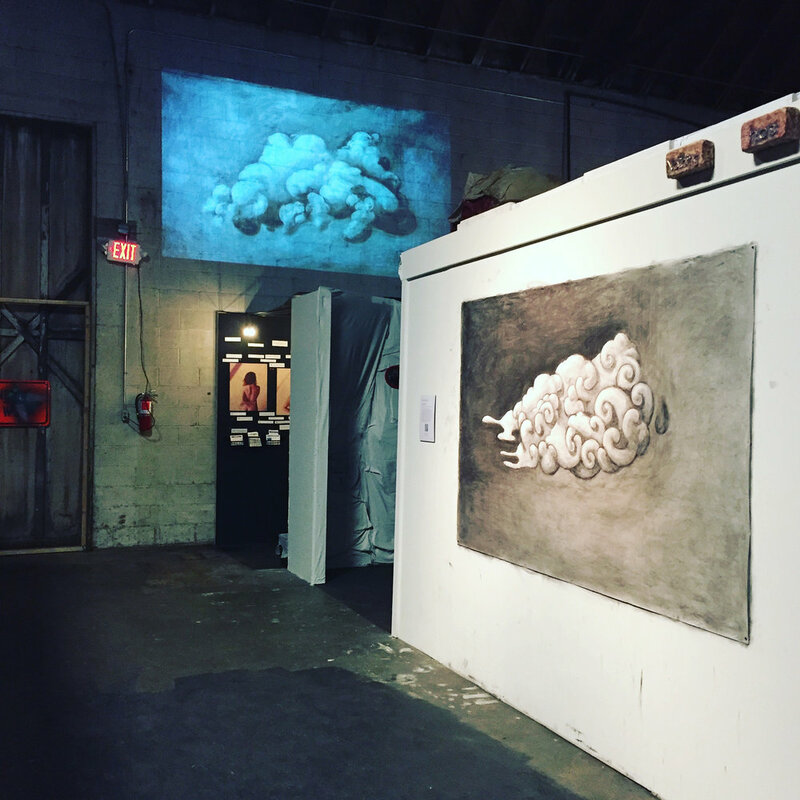 On the larger wall to the left, the projected video is a recording of the previous drawings. 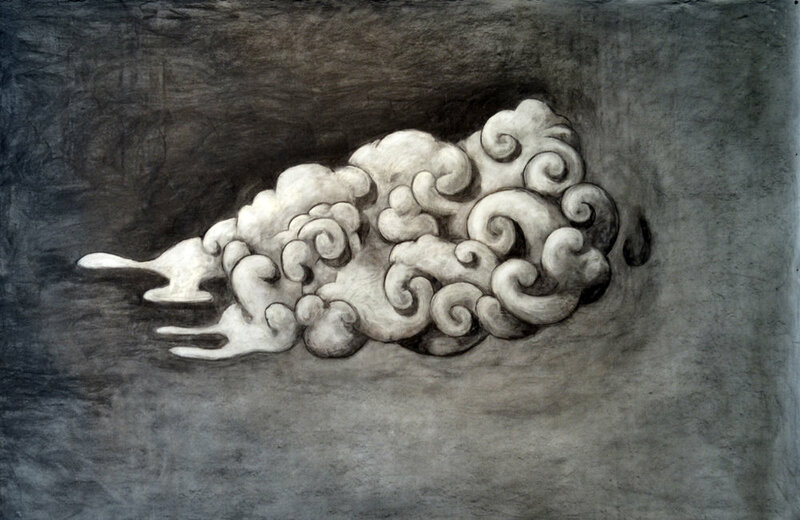 Before you is the last drawing made bound between the recorded past and a future unknown. The erasure and redrawing will continue for the duration of the exhibition. Advent Arrival of the Gold Laundry, 2017.